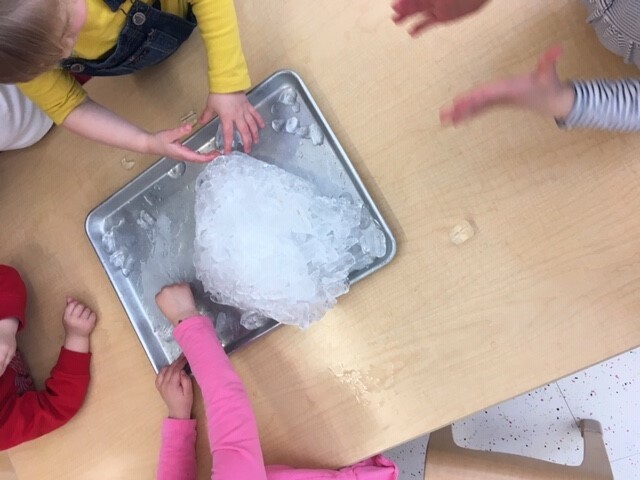 Last week, our children in the one-year-old to three-year-old classrooms were busy exploring the effects of salt and food dye on ice. Check out these pictures and videos of STREAMin3 in action. It is such fun to watch and listen to the teachers and children engaged in exploring how things change. Listen carefully to the conversations and questions. Our teachers do an amazing job making sure our children are learning the CORE & STREAM skills, but having a blast while doing it. Learning should be fun, encourage curiosity and help children think about what is happening around them. Posted on April 5, 2019 by Devan Maloney and tagged newe3school science streamin3 preschool uvacastl coreskills streamskills learning.